The Essex Electronics iRox-T™ turnstile reader is a multi-frequency, multi-technology, low profile reader designed to solve concealment challenges and enable streamlined upgrades to higher-security turnstile applications. It provides maximum read range and supports numerous low frequency and high-frequency smartcards, including HID’s Seos® breakthrough credential technology for advanced security. 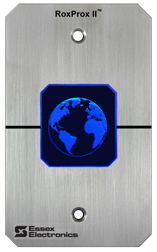 Applications: Ruggedized Essex Electronics turnstile reader that incorporates HID iCLASS SE® technology with a high performance read range that supports multiple frequencies and technologies from a variety of access control manufacturers, including Prox, iCLASS® iCLASS SE® and MIFARE, DesFire, EV1 & 2. Hand-E-Wave™ is a rugged, stainless steel, hands-free switch with advanced Doppler radar technology. Applications: Hand-E-Wave™ is designed to operate in all environments including sterile facilities (hospitals, clean rooms, and food processing plants). 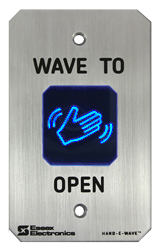 Typically installed to trigger an automatic door opener, Hand-E-Wave™‘s low profile, recessed design, and no touch switch technology help reduce the spread of bacteria, infectious diseases and HAI’s (healthcare-associated infections). iRox™ Series are heavy duty smart card readers with Genuine HID Technology™. Features include stainless steel construction, epoxy encapsulated electronics, audiovisual feedback, and modern low profile design. 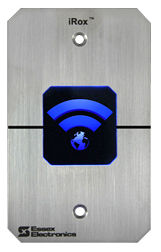 Applications: iRox™ readers are designed to interface with Access Control panels. iRox™ is built with iClass SE® which is capable of reading all HID high-frequency formats. 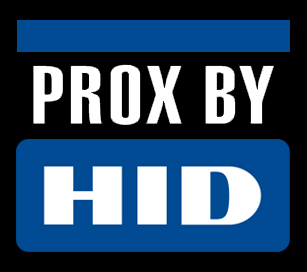 iRox Plus™ adds HID 125 kHz Proximity for dual frequency applications. RoxProx II™ is a heavy duty 125kHz Proximity Access Control Reader with Genuine HID Technology™. Applications: RoxProx II™ is designed to interface with most OEM access control panels. RoxProx II™ generates a Wiegand Output up to 91 bits including standard 26 Bit. Suitable for all indoor and outdoor environments, RoxProx II™ is ideal for vandal prone areas and extremely harsh environments. RoxProx™ IP Series are extremely rugged RFID communication devices designed specifically for vandal prone areas and harsh environments. RoxProx™ IP communicates over Ethernet sending card data and receiving audio/LED feedback. Applications: RoxProx™ IP Series is designed to transmit 125kHz Wiegand data (up to 64 bits) over Ethernet to a host computer. It can be used in conjunction with a Correctional Inmate cell call system, Healthcare nurse call monitoring system or custom monitoring application. 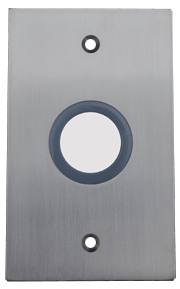 T-Prox™ is a dual technology access control reader which combines an Essex Thinline 2×6 Keypad with HID 125kHz Proximity. Applications: T-Prox™ is designed to interface with an OEM Access control panel. T-Prox™ transmits 125kHz Wiegand data (up to 91 bits) from the card reader. The Keypad can be configured in the field to provide 26 Bit Wiegand, 8 Bit or 4 Bit data.